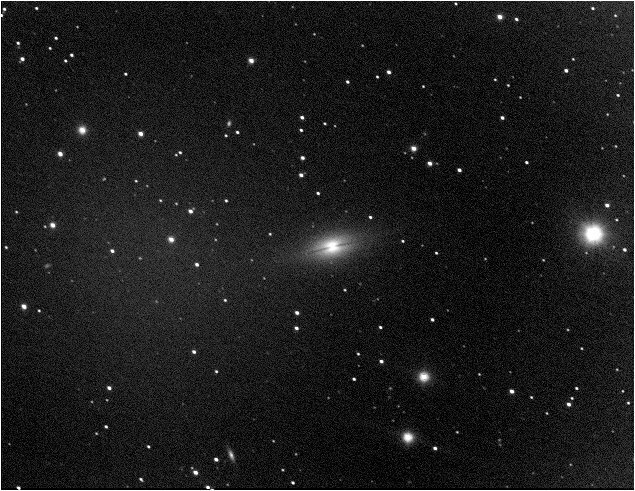 A small galaxy in Pegasus with clear dark dust lanes in its centre. 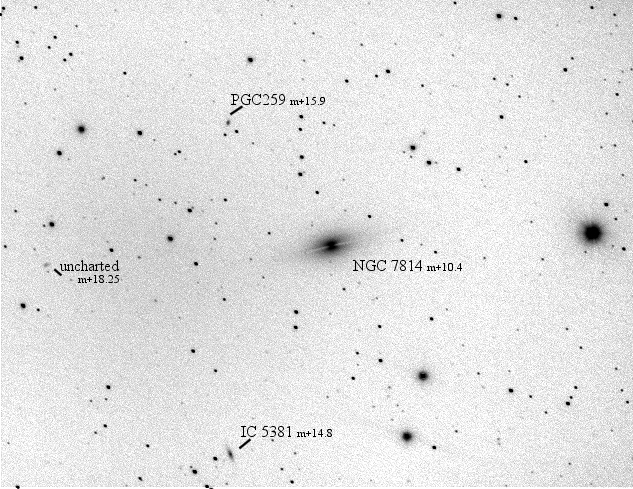 Other fainter galaxies also visible. Not enough sub-frames taken on these objects. More imaging required!